Can we all agree that leggings, while always appreciated, make for a pretty predictable gift? Instead, we invite you to up the ante this year with fitness-themed presents that feel unique—whether you're shopping for a gym novice or that friend who doubles up on Barry's Bootcamp on a regular basis. Naturally, we've got you covered. 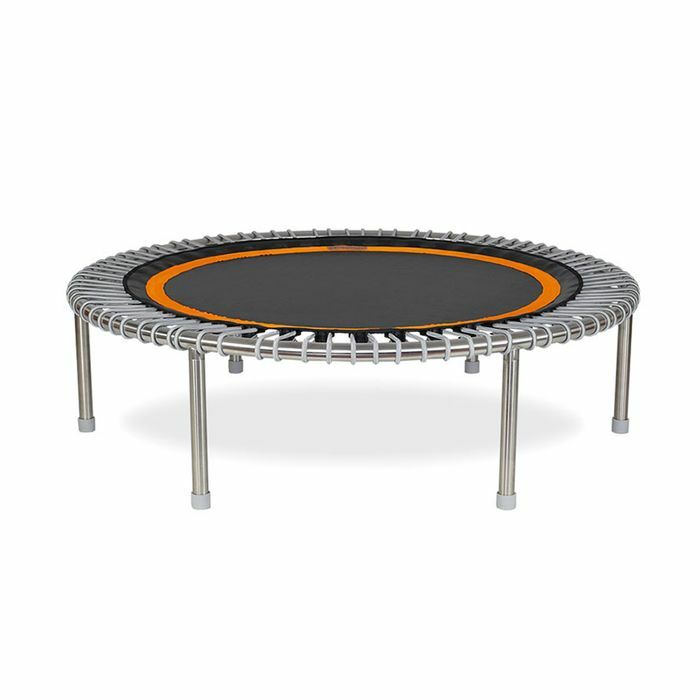 From a mini trampoline to CBD lotion, shop fitness gifts for every level and budget below. For the friend who's determined to perfect her right hook in 2019, these classic gloves are just the ticket. Mark our words: Mirror will be the most talked-about fitness product of the New Year. This Invisible Interactive Gym takes home workouts to an astronomical new level, allowing you to take virtual classes with both experts and friends, track key health markers as you sweat, set personal wellness goals, and more. And if the upfront cost is out of your price range, know that you can opt for monthly payments equivalent to the cost of a gym membership. Trust us when we say that this is the most versatile turtleneck around. Wear it with leggings to yoga, and pair it with vintage denim and heels when you head to the office after class. For the gym rat who has just about everything, this physician-grade therapy device can't be beat. Its innovative massaging action helps eliminate soreness, break up scar tissue, and facilitate instantaneous overall relief. The beauty of ClassPass is that there's something for everyone—from the devout yogi to the studio-hopper. That makes a gift card covetable for just about anyone on your list. Runners, take note: These wireless earbuds were designed to withstand heavy movement. Sore muscles are no match for this CBD lotion, which we'll go right ahead and declare one of the best on the market. The perfect stocking stuffer for your favorite yogi, this bath soak pairs Epsom salt with eucalyptus for a truly spa-worthy experience. Next up: nine witchy gifts for every member of your coven.